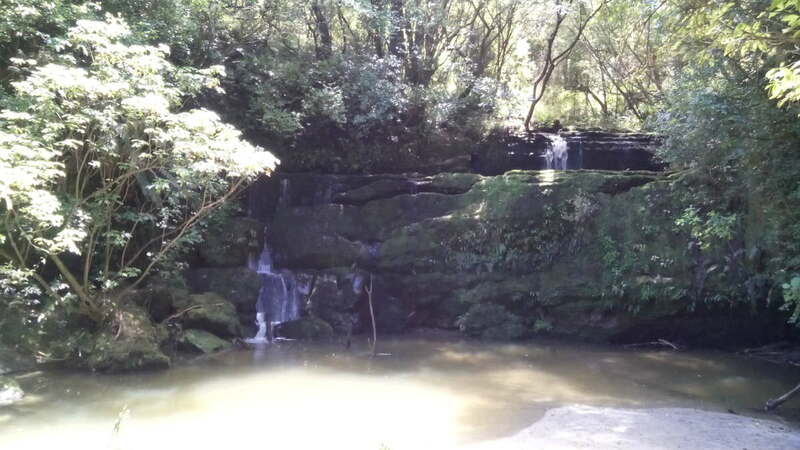 Located in Waioeka Gorge Scenic Reserve in the Eastland Region, 1 hour and 15 minutes from Gisborne City. This walk crosses the historic Tauranga Bridge and meanders next to the Tauranga stream – absolutely stunning views. Amazing to cross the historic bridge – which has been restored and is of national significance for its engineering design and appearance. This track is a fantastic walk on a fine day. Passing over a historic bridge, it makes for ideal photo opportunities. Scenery that will leave you in awe. The loop is an easy 2 hour walk. Passing across two streams, which could make for tricky crossings after heavy rain. The stream water is crystal clear, a perfect summer’s day adventure, walking alongside a beautiful river and through native New Zealand bush. The track is well marked out, so even the geographically challenged won’t get lost. There is plenty of parking at the starting spot and even has a toilet and picnic area. This track is ideal for families, we went and enjoyed it with our four kids and they had no problems walking the track, ages from 4 to 8 years. You can also get permission to take a dog on the track through contacting the local Department of Conservation. In the summer I would suggest bringing your togs, so you can enjoy the lovely crystal clear cool waters. The walk offers great nature watching activity with loads of native birds and natural fauna. The music of the birds is magic with the natural tranquillity of the surroundings offering people an inspiring walk. On the way back to Gisborne, there is a small township Matawhai, which has several historic buildings, including the Matawhai Hotel and Matawhai Art Gallery – great stop on the way back from the walk for a refreshing drink and a bite to eat. 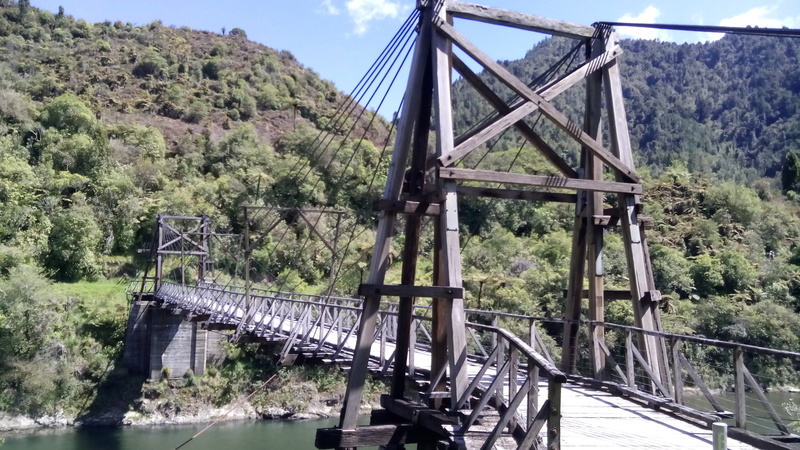 The Waioeka Gorge offers many walks for locals, tourists and adventurers. I would suggest visiting the local I Site station and researching what walks are open and available. This walk is free for the public and captures the natural beauty of New Zealand. I would definitely recommend this walk. To get to this track drive to Back Ormond Road and take the turn off to Waihirere Domain Road, 200 metres down this road, veer off to the left. This then opens up to a nice reserve, plenty of car park space and also great area for a picnic. There is also swings, slides and a play area for the family. To get to the beginning of the walk, you must head to the old swimming pool to the left of the hill, The walk goes through native bush, with a slight slope upwards. At the end of the walk is a lovely waterfall and seating area. The waterfall pool has lovely clean water, great for a family swim, not deep so very safe for kids. Strangely enough there is also sand around the pools edge, so if you wanted to great for a sun bave as well. The walk takes about 30 minutes to get to the waterfall and in total return trip around 1 hour. On the track you can also see some Forest and Bird traps with have been put down to trap rats, possums and ferrets. 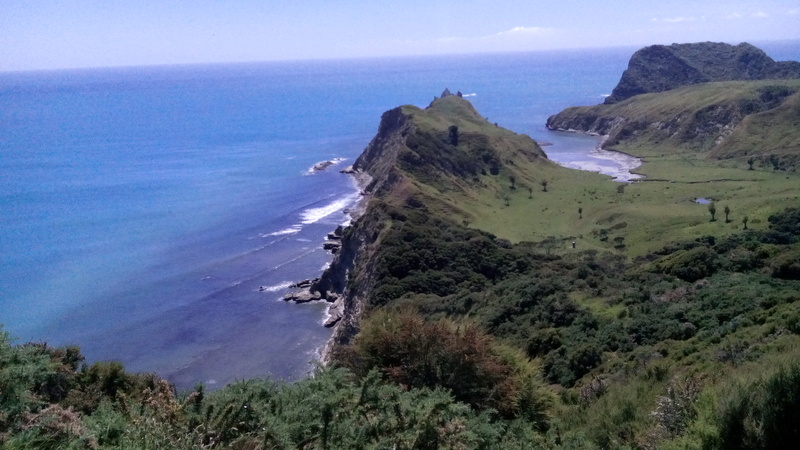 Very enjoyable walk and only about 15 minutes drive from Gisborne city. This is a fantastic historical walk where Captain James Cook stopped in 1769 as part of his circumnavigation of New Zealand. This scenic walk has some great views of Tolaga Bay and Cooks Cove. It also features a hole in a rock view of Tolaga Bay Wharf. Most of the information about the walk refers it as an easy walk, however I think it is more a moderate walk, as there are a couple hills to cross over with several wooden steps. We did this walk with our family, with our youngest walker being 4 years he had no problems doing the walk. The total walk is 5.8 kilometres and took us around 2 hours 30 minutes. The Cooks Cove Walkway is situated at the southern end of Tolaga Bay, 52 km north of Gisborne. On SH35 take the Wharf Road turnoff, 2 km south of Tolaga Bay township. There is a small car park adjacent to the walkway entrance. You can also park at the larger beach car park adjacent to the motor camp 200 m beyond the entrance, where there is a local toilet you can use prior to starting the walk. There is also another toilet at Cooks Cover, I would suggest you take your own toilet paper just in case! The walk crosses a small, open paddock to begin the Cooks Cove Walkway. The track then climbs through light bush and across open grassland, keeping mainly to a farm track just below the cliff tops. After about 20 minutes, you will reach a lookout point (120 metres above sea level). This spot gives the first views of Cooks Cove itself. The cove consists of a sheltered inlet with the weather-beaten Mitre Rocks standing to the left of the entrance and Pourewa Island rising up on the right.